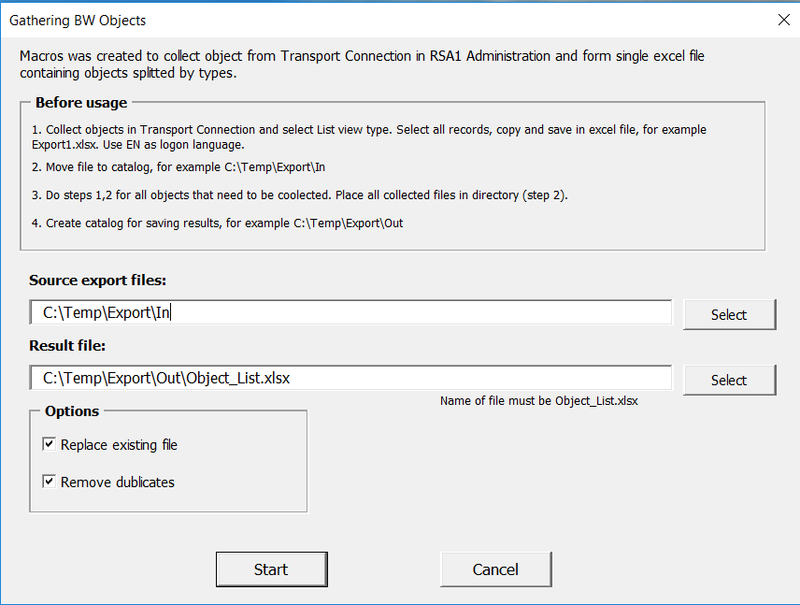 Hi, in this post I would like to share an approach for exporting list of objects from Transport Connection in Data Warehouse Workbench. 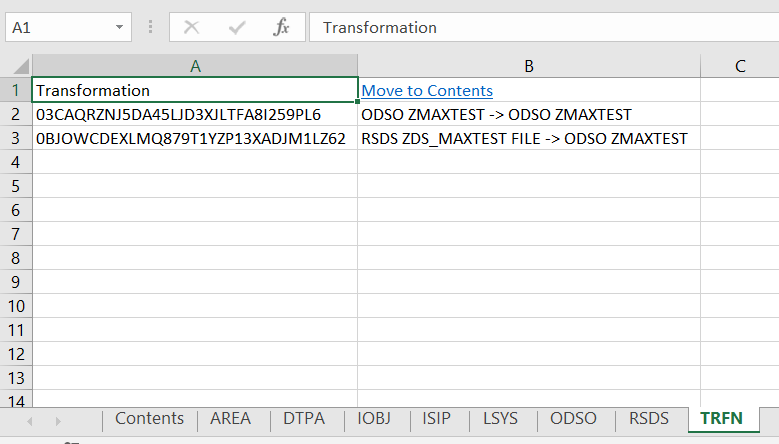 We need to save in excel file objects from DWW Transport Connection. By default I could not find a way to export them into file from SAP GUI. 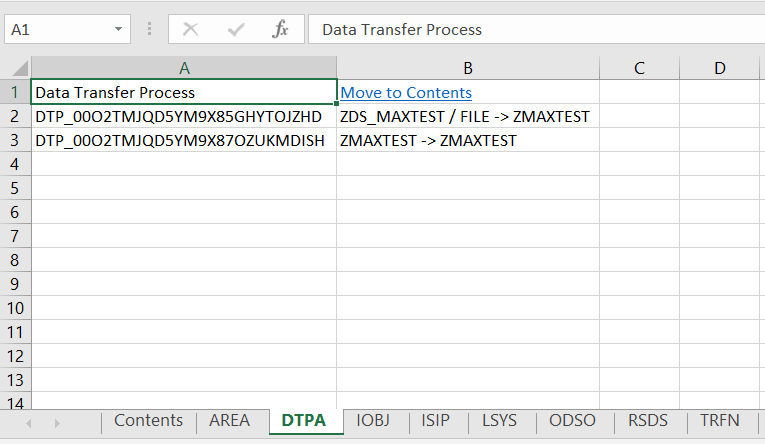 I created a macro that could process export file or files from DWW Transport Connection. 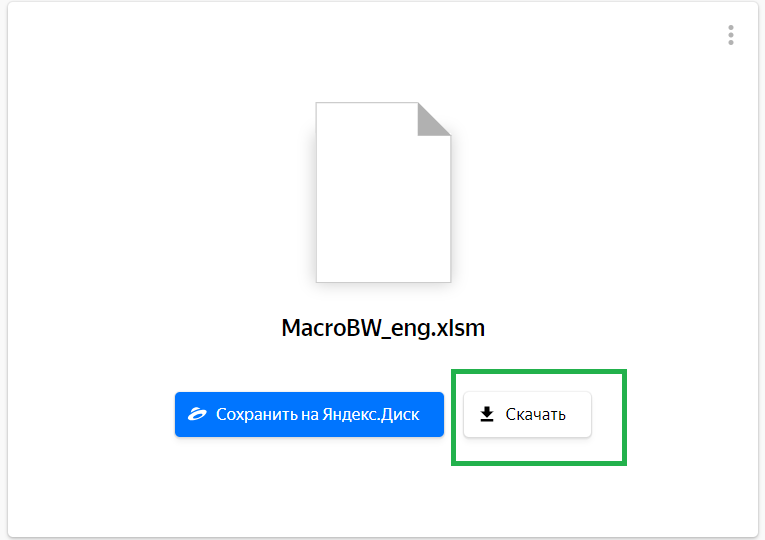 1.Save MacroBW_eng.xlsm file to your PC. File is shared by link MacroBW_eng. 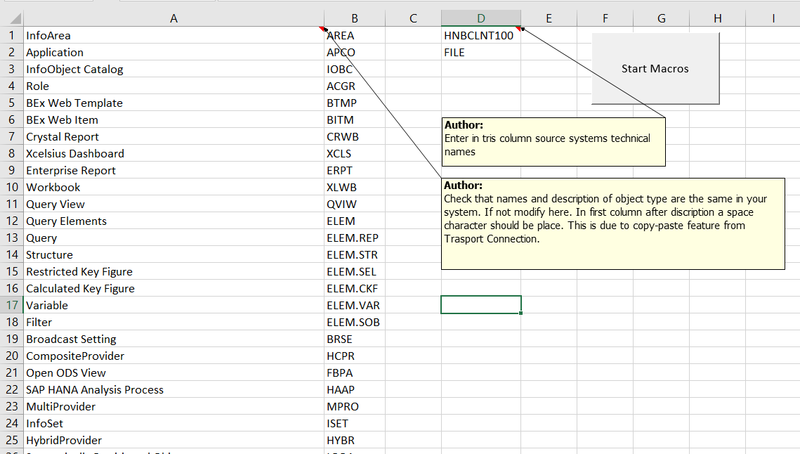 3.Check and Modify name list of object types and list of BW sources systems at Types sheet. 1.Go to DWW Transport Connection and collect objects that your need. 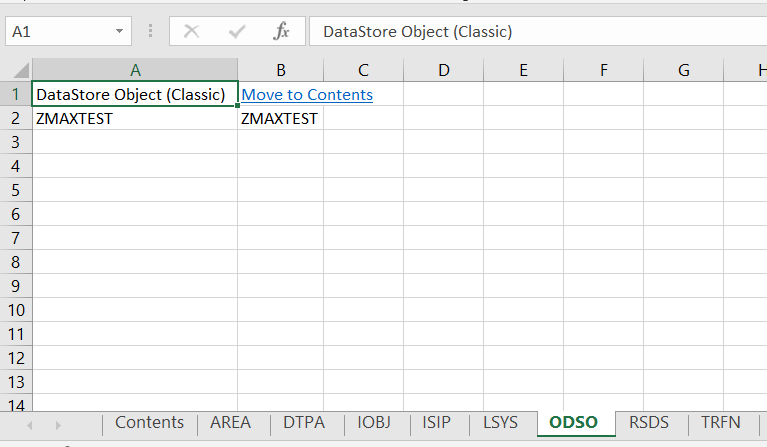 2.For Display use List and select Expand All, select all rows in collected objects and Copy. 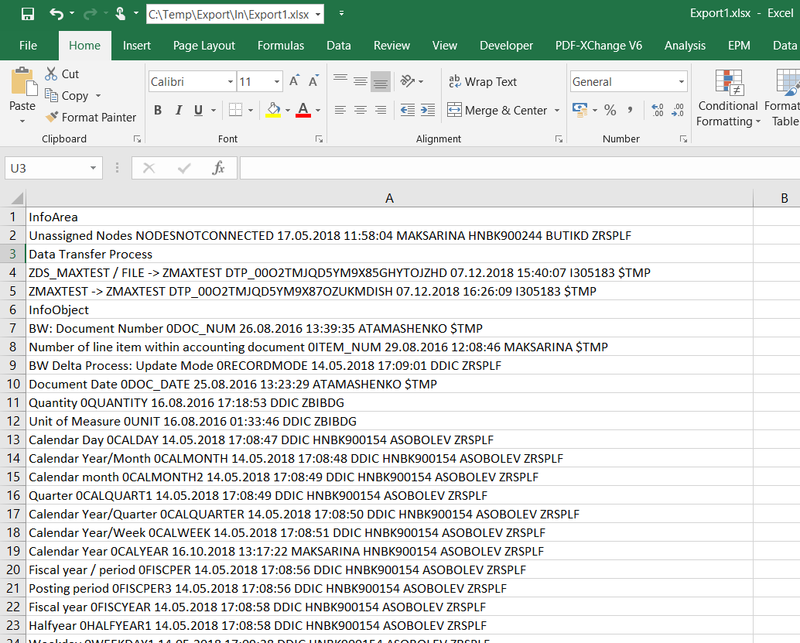 3.Paste to Excel and Save file, e.i. 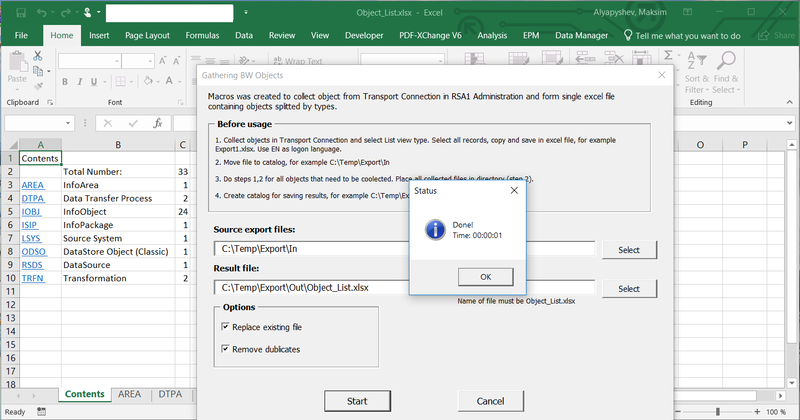 as “Export1.xlsx“. Place file in C:\Temp\Export\In. Note: Your could make not only one file here, 2 or more if needed. As you could see all information is placed by rows, but in 1 column. This my test export file could be downloaded from here. 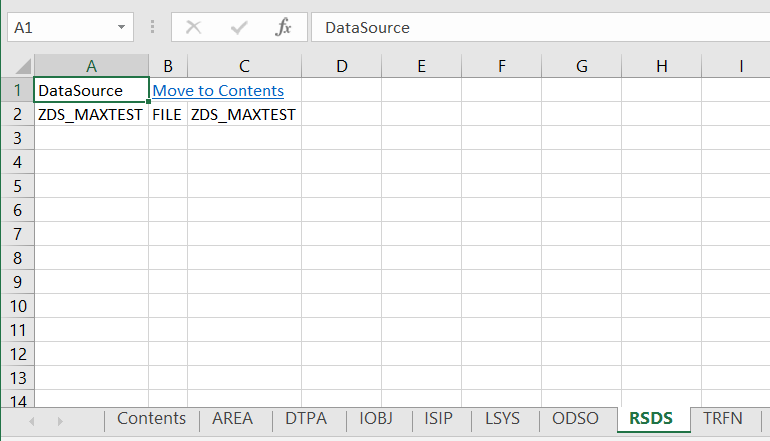 1.Run MacroBW_eng.xlsm file and get this control form. 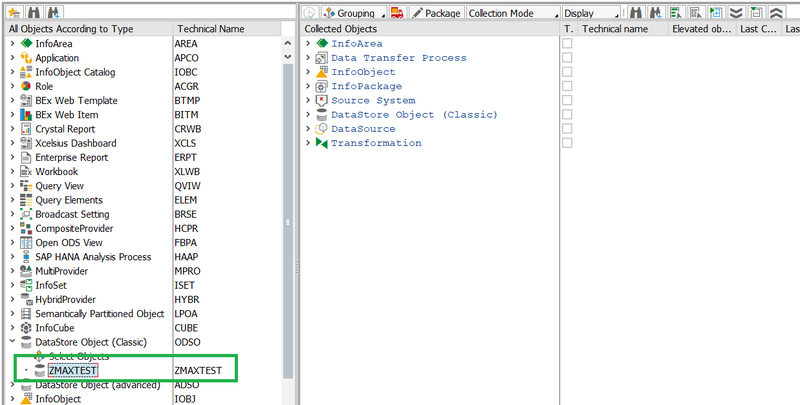 2.Press Start and Get Object_List.xlsx result file. 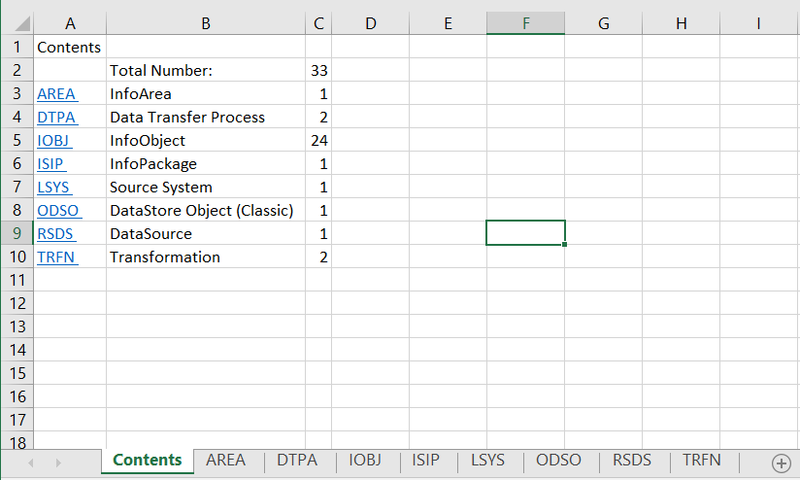 At first sheet there is a Table of Contents with number of objects information. 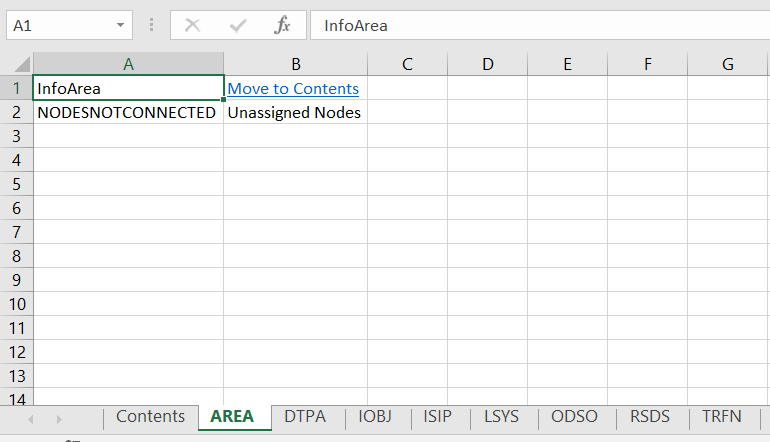 Objects are organized by types in different sheets. 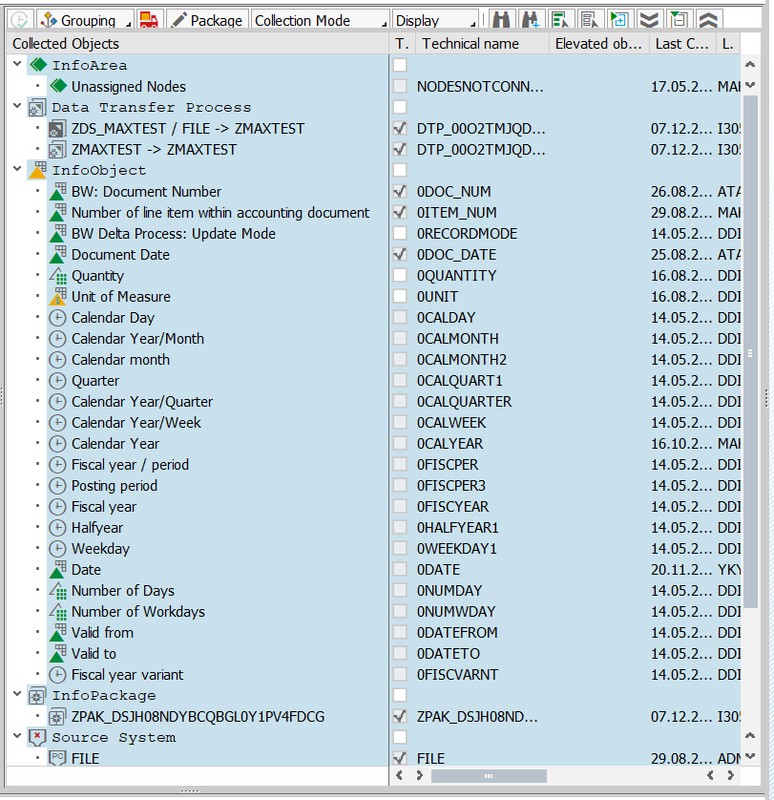 In real use cases there are more than one file and many thousands of objects. Manual processing of them is time consuming task, especially in case of duplicates problem in different files. With help of this macro you could make collection of objects in you BW system for documentation or analysis purpose.